A machine with an out-of-the-strip programmed and automatic preocessing operation, working hydraulically for the production of every type and designs of labels of various material. All labels, hollow punched from the strip, are piled up in a stripway while the waste fall in an adapted container. For the production of numbered labels, the machine can be fitted with a small expulsion piston. Specially suitable as well for embedded labels - as those used for champagne bottle-neck wraps - it also considerably reduce the paper wastes and allows to increased saving it. It has been designed with the inclusion of every safety gadget and adjustements for the easy fitting of the hollow punches. 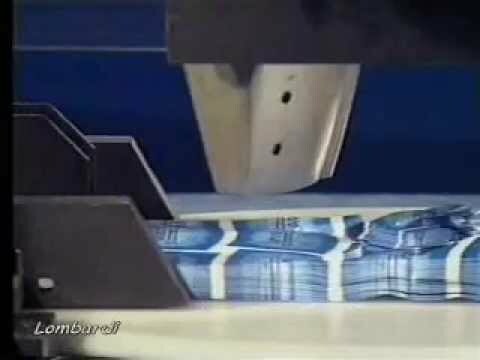 It is an highly precise machine - with a maximum eventual allowance of a 0.02 millimeters error - and the hollow punching can reach an average producton of 400.000 labels per hour.